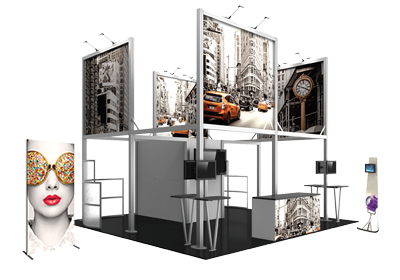 When it comes to portability, versatility and ease of use, few displays can match the Hopup™ 10ft (4 quad x 3 quad) straight pop up display. 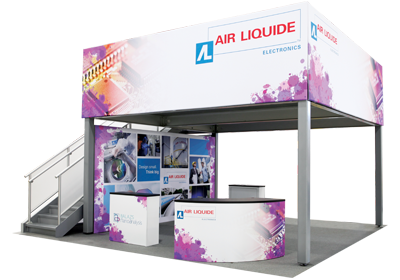 This tension fabric display sets up in seconds, creating a dynamic appearance that can be used in a wide variety of exhibits and environments. The graphic is pre-attached, making assembly fast and simple. Included is a wheeled shipping bag to make transportation quick and easy. Lightweight, aluminum frame can be purchased separately. © 2019 Coppinger Exhibits. All Rights Reserved.